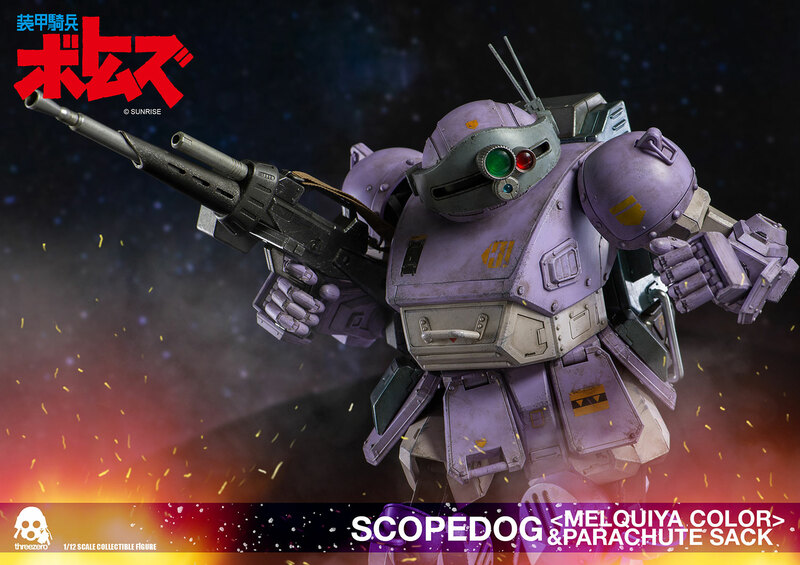 From the TV animation series “Armored Trooper Votoms”, threezero’s 1/12th scale Scopedog returns in Melquiya Force’s coloring! 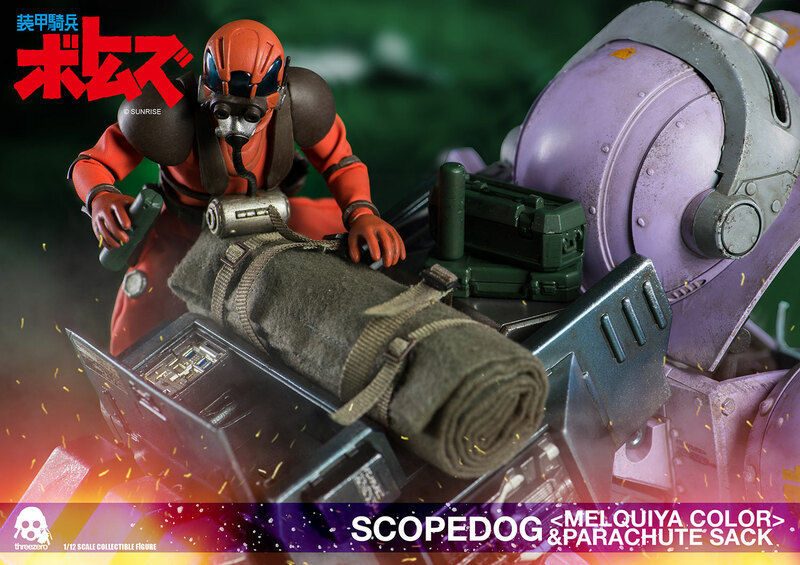 It will come with the Parachute Sack backpack. 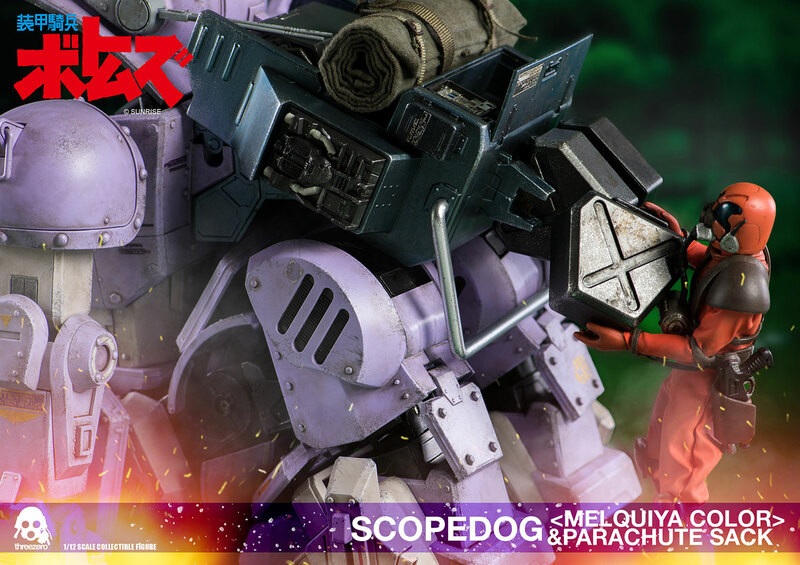 The Deluxe Version will also come with a Fabric Parachute in opened form in addition. 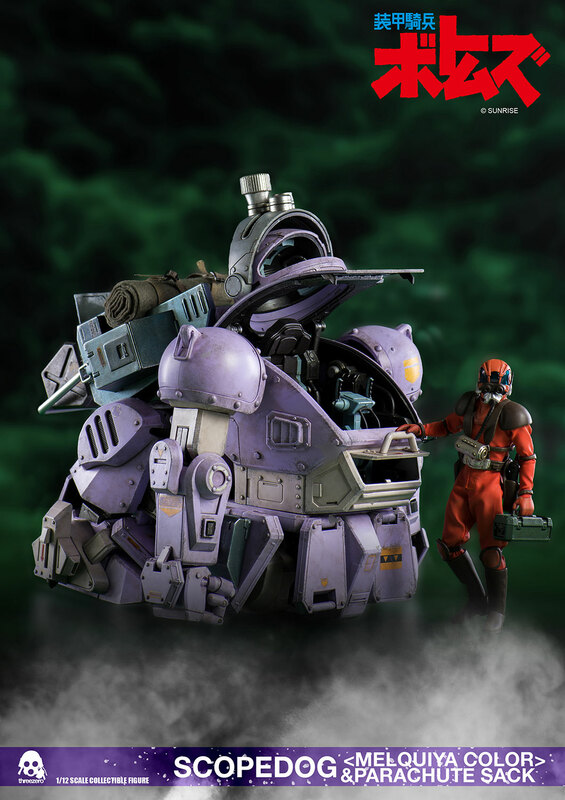 Deluxe Version will be available both at threezero online store and retailers. Pre-orders will start from December 8th 9AM HKT. 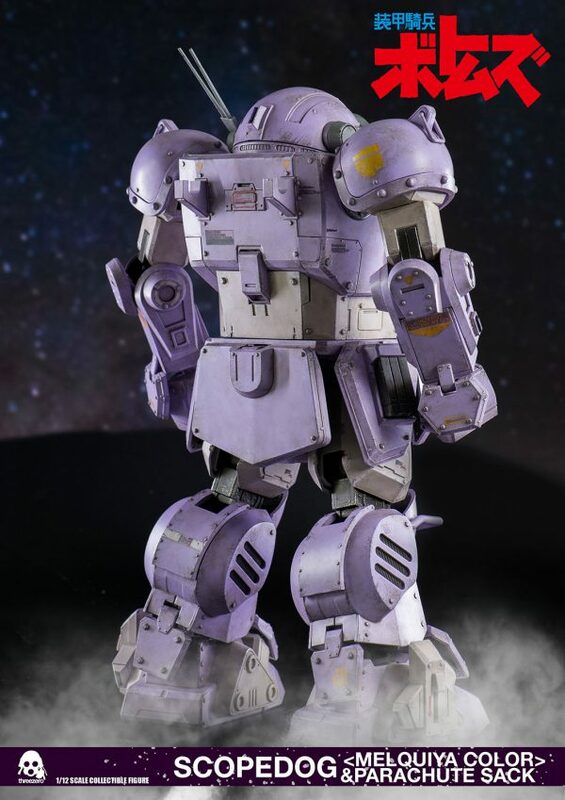 The price of the Standard Version is USD 460, and the Deluxe Version is USD 490 (shipping is included for the ones sold at threezero online store). 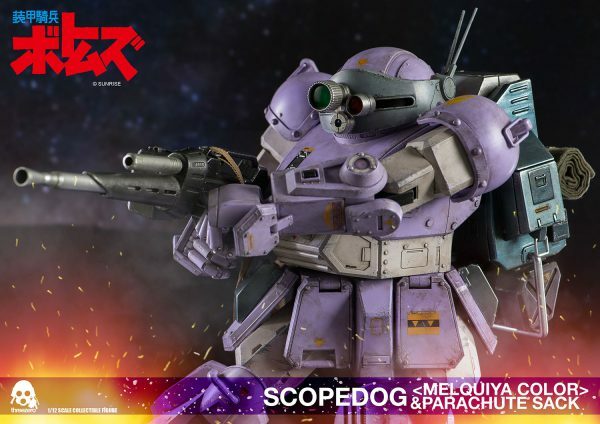 Newly <Melquiya color> variant color of Scopedog. 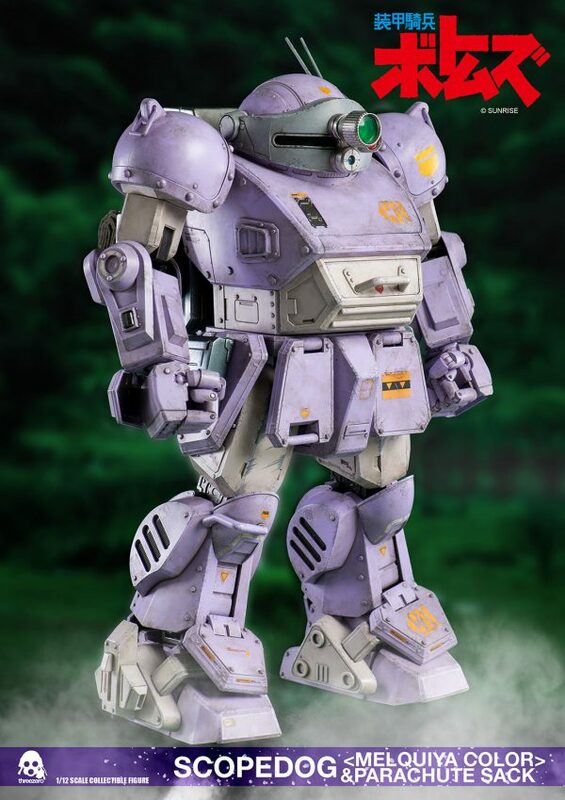 Fully-articulated 1/12th scale figure that stands ~33cm tall. All finger joints are articulated. 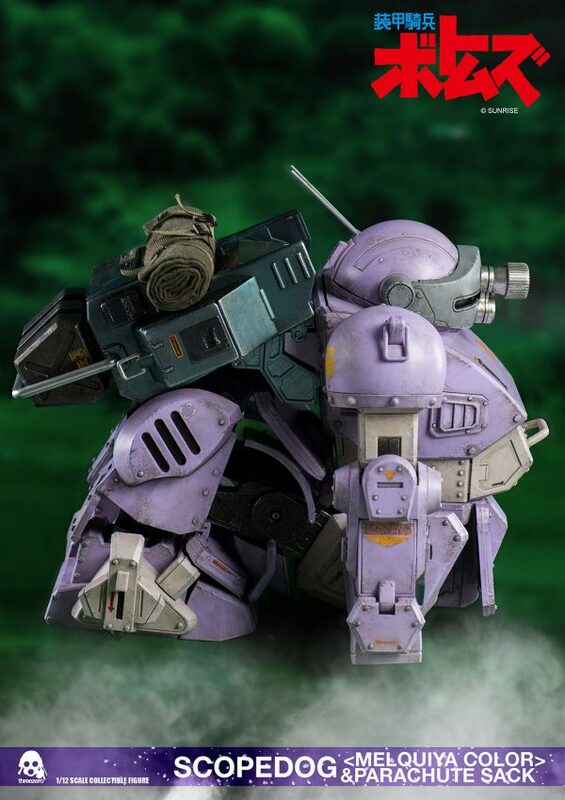 Can be transformed into crouching mode. Includes the Arm Punch gimmick feature. Pelvis joints can be adjusted vertically in 3-steps to adjust the leg lengths. 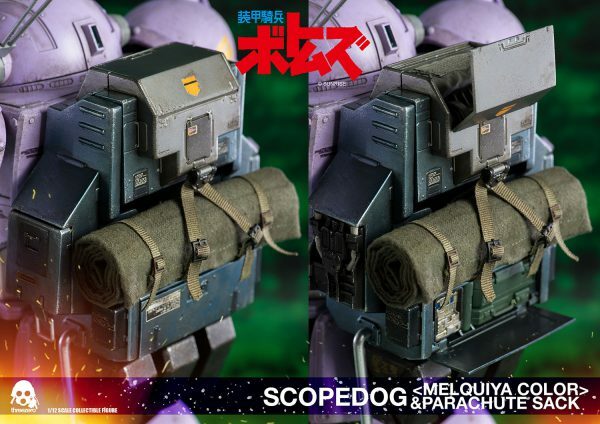 Can be attached to Scopedog’s back (corresponds to the earlier released Scopedog from threezero as well). Can be transformed into a form which corresponds to Scopedog’s crouching mode. Openable cover on top part of the backpack. Contains a cloth parachute piece in folded form (detachable). 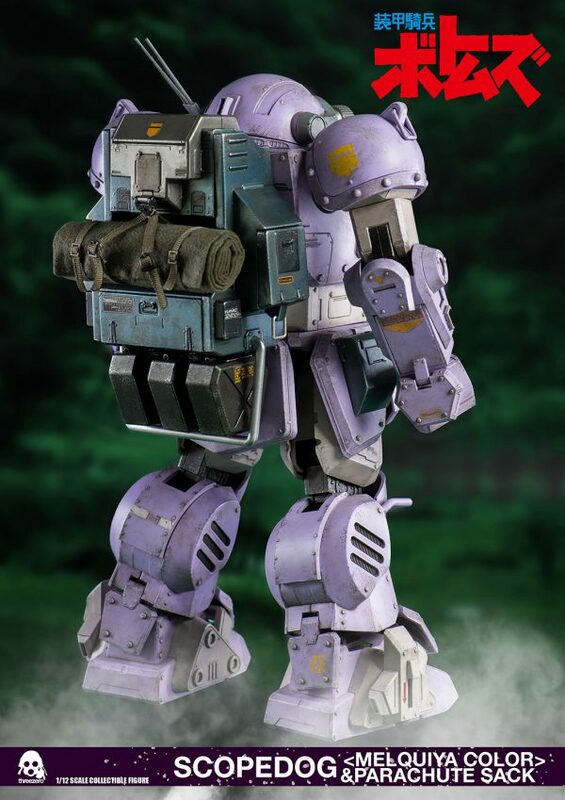 3 pcs of Heavy Machinegun magazines can be attached underneath the backpack. Openable lower compartment of backpack contains several bits of detachable utility gears inside. Detachable maintenance hatch on both side of the backpack. Real fabric rolled up utility blanket hanging on middle of the backpack. GAT-22 Heavy Machinegun with detachable fabric belt including barrel and stock that can be exchanged/detached to take the “short barrel” form. 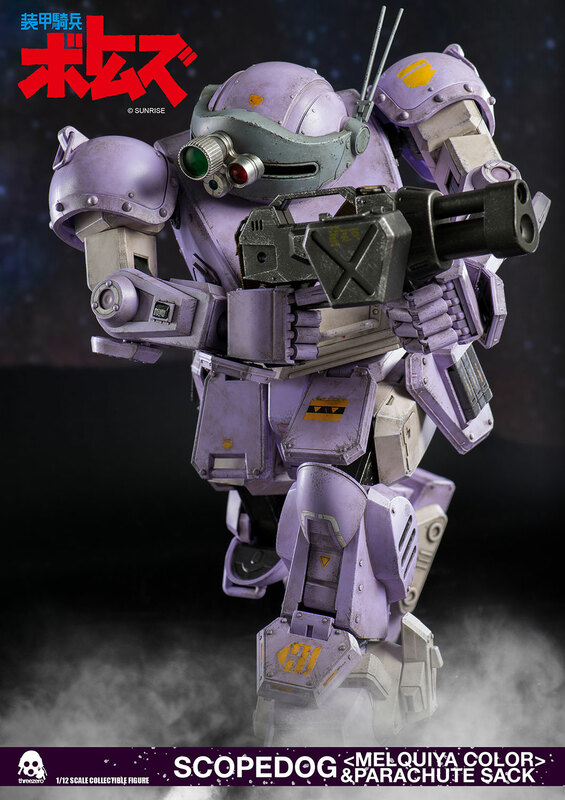 Fully-articulated pilot figure stands ~15cm tall. Pilot can be positioned inside Scopedog’s cockpit. 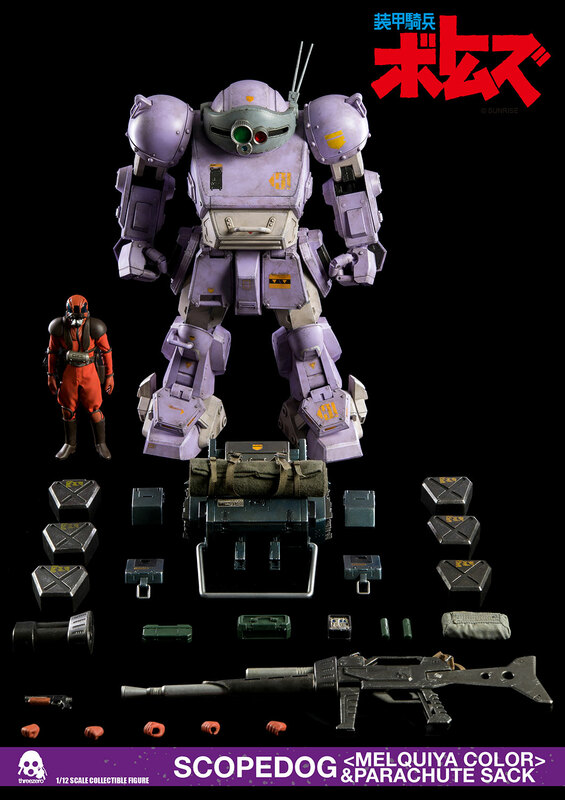 Comes with Bahauser M571 Armor Magnum.